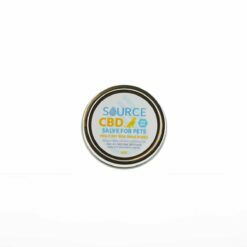 Source CBD offers the highest quality, non- psychoactive, gold- grade CBD oil available on the legal market. It is packed with natural terpenes such as Alpha Pinene, Beta Pinene, Lemonine and many other incredibly beneficial cannabinoids such as Cannabachromene and Cannabigerol. Our coconut oil infused supplements have the highest bio availability of any CBD product on the market. 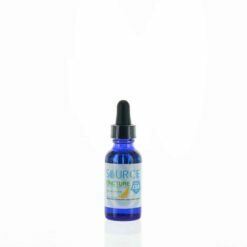 What is the suggested dosage for the CBD tinctures? Where does Source CBD oil come from? Our gold- grade CBD oil is sourced from Germany, derived from the highest grade, organically grown hemp and processed using supercritical Co2 extraction. What is the difference between the canine and human tinctures? Just the label – our canine and human tinctures are the exact same product. Is Source CBD full spectrum hemp oil? Yes, Source CBD is derived from whole plant, full spectrum, high quality CBD hemp. Does Source CBD have any case studies? We have been at the ground floor of hemp research and testing. Source CBD has multiple case studies with everyday people like yourself experiencing the life changing effects of integrating our products into their daily regimen. How is Source CBD hemp oil extracted? Source CBD gold grade organic hemp oil is super- critically Co2 extracted in a pharmaceutical lab where the full- spectrum is utilized. We do not use CBD isolates. 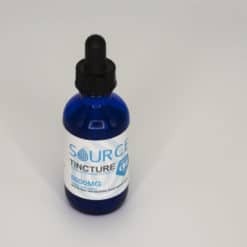 How are Source CBD Tinctures made? Source CBD tinctures are made by infusing organic, non- GMO, gold grade CBD hemp oil with organic, non- GMO, liquid MCT coconut oil. Are there any additives or preservatives in Source CBD products? Source CBD products are all natural and have no additives, colorings, flavorings, fillers or preservatives unlike others on the market that use flavor additives and/ or preservatives. How does Source CBD’s pricing compare to other CBD products on the market? Source CBD is about 25% more affordable retail and wholesale per MG dose than the leading competitors. Are Source CBD products legal in all 50 states? All of Source CBD products are 100% legal in all 50 states. Our CBD products are non- psychoactive and are derived from 100% industrial grade hemp grown in Germany. It is harvested with non- detectable levels of THC with lab testing at under 0.30%. What is the potency of Source CBD organic hemp oil? Where are Source CBD products manufactured? Source products are manufactured in Northern Arizona through a licensed commercial kitchen. How will my Source CBD products be shipped out? Source CBD mails all packages out via USPS priority mail. You will receive an email confirmation via USPS with a tracking number once your label is created.